Synopsis: Detective Elliott “Eli” Robinson and his new partner, Ava Aguilar, are baffled by a series of brutal murders happening in their fair city. No evidence, no eyewitnesses…only mutilated corpses with missing internal organs. As the synopsis tells us, ORGAN REAPERS is a mash of two worlds. For the reader this means the grit of real life we drive by and rubberneck at, and the fantasy world equipped with steam powered technology we imagine when we can’t sneak a peek at the gore past the police tape. Detectives Eli and Ava are faced with too many mutilated bodies with similar causes of death, and zero evidence of their murderers, to leave the case alone. It consumes them and takes their mind off some of the not so glamorous consequences of being married to the job. First thing, I love these two. A good crime drama needs it’s archetypal heroes and Eli and Ava filled out the roles and made me want to know more about their private lives than what Shay West shared. 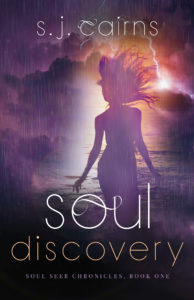 Plus, every good story needs an ample smattering of eye candy equipped with a keen intuition for the nasty side of life. Secondly, Shay West made me grit my teeth along with Eli’s impatience at lacking answers, never immediately convinced of anything without proof, and feel giddy and alive with Ava’s anticipation to delve into the otherworldly explanation behind these murders. This keeping me stabbing my e-reader to find out what happened next. While allowing us to tag along with Eli and Ava, Shay West also brings us into the lives of two young and naive idealists, Keena and Tani, who skip into our world with a purpose they question. A mission considered of the near highest importance in their world and handed down by someone you don’t say no to. Besides being truly entertained by them navigating the modern world, I found myself cursing their actions and then rooting for their cause, attempting to wrap my mind around their decisions and question if I would have made the same. Alongside driving the plot with characters I rooted for, Shay West brought about a continuing theme I couldn’t ignore. How do you choose one life over another? How do you decided how far is too far when considering saving a life? Should you blindly follow leaders without question regardless of the higher power they speak for? In Keena and Tani’s world these answers is easy, but since Eli and Ava’s world is the one suffering, they won’t stand idly by without intervention. Shay West ensures I never got lost between worlds, yet also challenged me to think deeper into the lengths at which is appropriate to explore when considering the stakes involved. I was left with many questions. Not ones that diminished the ending or I’d be pulling my hair out and giving it a lower rating, but ones I was curious about enough to give me a reading hangover as I contemplated the possibilities. HOWEVER, I’m fan-girling after hearing Shay West is releasing a sequel called SOUL REAPERS on October 31, 2015. One that promises to step things up a notch and (I’m hoping) answer some of those mind-boggling questions I was left hanging with. 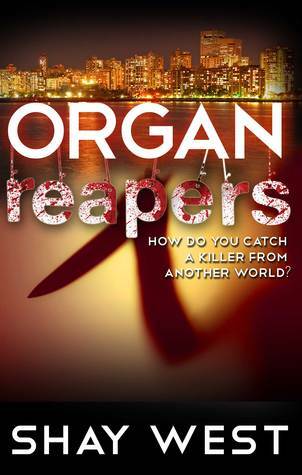 If you enjoy genre crossing stories that hit you with compelling characters, and moral quandaries which question your corner of the world, than ORGAN REAPERS is worth picking up and binge reading as I had, having finished it in 6.5 hours. Sacrificing sleep was worth the payout. Shay West was born in Longmont, CO and earned a doctorate degree in Human Medical Genetics from the University of Colorado Anschutz Medical. Dr. West currently lives in Grand Junction, CO with her two cats. When not writing novels, she plays with plushie microbes and teaches biology classes at Colorado Mesa University. 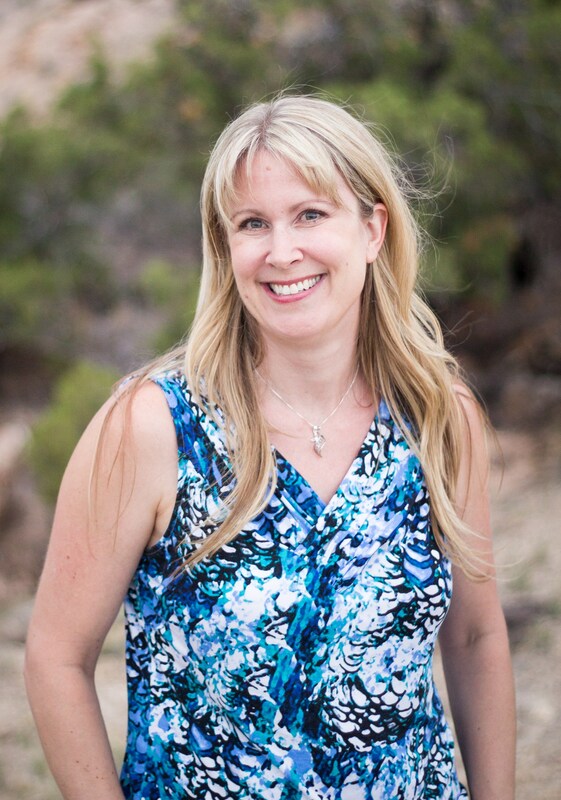 She is the author of the Portals of Destiny series and the Adventures of Alexis Davenport series. She has also been published in several anthologies: Battlespace (military scifi), Orange Karen: Tribute to a Warrior (fundraiser), Ancient New (steampunk/fantasy), and Horror in Bloom.